The Walkley Foundation and Nine News are calling for bright final-year university students and recent graduates aged 26 or under to apply for a 14-week scholarship with stipend. 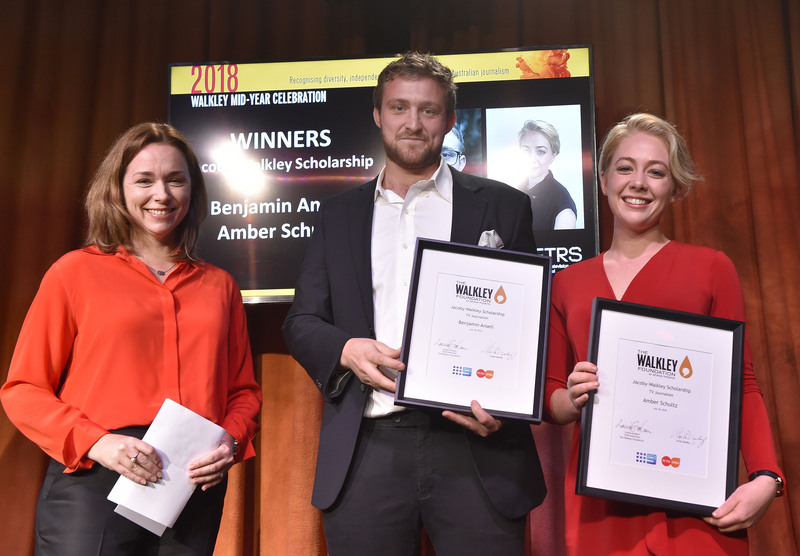 Now in its seventh year, the Jacoby-Walkley Scholarship is targeted at young storytellers with a passion for broadcast journalism and dreams of carving out a career in the industry. Learning from top journalists, the successful applicant will spend time at Nine News Television newsrooms in Sydney, including at 60 Minutes, Nine News, A Current Affair, Today and 9news.com.au. Established in 2013 by award-winning producer Anita Jacoby, the scholarship recognises the legacy of her father, Phillip Jacoby, a pioneer in the Australian electronics and broadcast industries. Walkley Foundation chief executive Louisa Graham, who also serves on the board of Media Diversity Australia, said she was hoping to see a diverse range of applicants. “Providing paid opportunities to learn within the industry, make contacts and build skills in a newsroom environment is one great way to make sure young people from a wide range of backgrounds have a chance to make it onto our screens,” Ms Graham said. As well as previous winners securing positions in their chosen field of journalism, a number of shortlisted applicants have also been offered invaluable opportunities throughout the industry including roles at A Current Affair (Nine), Nine News (Sydney/Gold Coast) and Insight (SBS). Entries close on Friday April 26.